Warning, this list isn’t for those with vertigo. 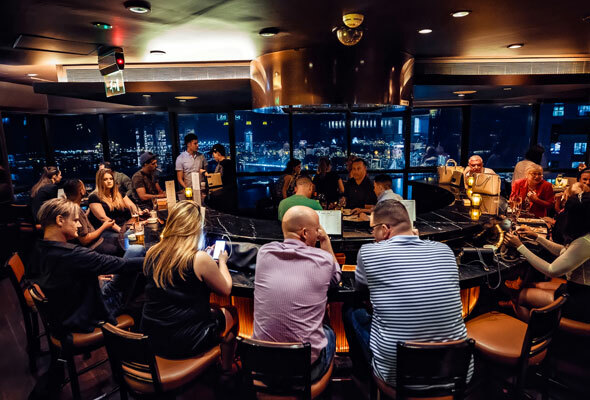 However if you’re looking to enjoy a tipple in one of the city’s tallest bars, you’re in luck – because we’ve found them. 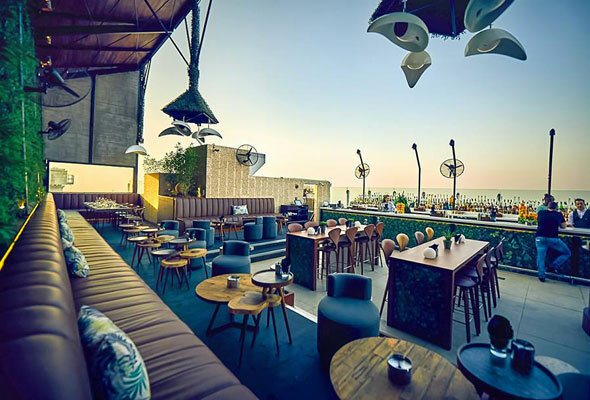 Whether it’s 122 storeys high, or a mere 43 (we wouldn’t like to walk the stairs down from either, to be honest), here are six Dubai bars you can find at least 40 levels high. 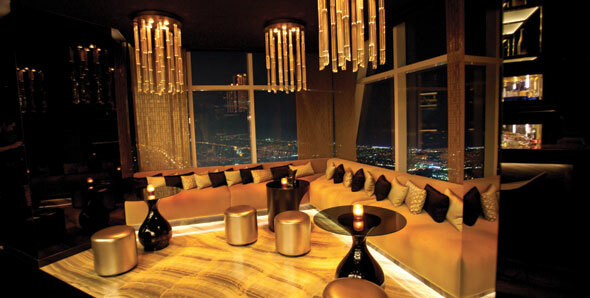 The world’s tallest restaurant and lounge, you’ll find yourself 122 floors high when you enjoy a drink at At.mosphere. But you’ll pay a premium for the privilege – signature cocktails start from Dhs100. Alternatively, take advantage of their daily ladies’ night fom 9.30pm to midnight, where ladies pay Dhs120 for a bottle of bubbly and a selection of complimentary canapes. The sought-after window tables are first come, first served, so we’d recommend getting in early. The Vault delivers some stunning views of the city from its enviable location on levels 71 and 72 of the JW Marriott Marquis. Watch out for their weekly ladies’ nights where you can enjoy some brilliant value offers. The 44 is perched on the 44th floor of Dubai’s Hilton Al Habtoor City. 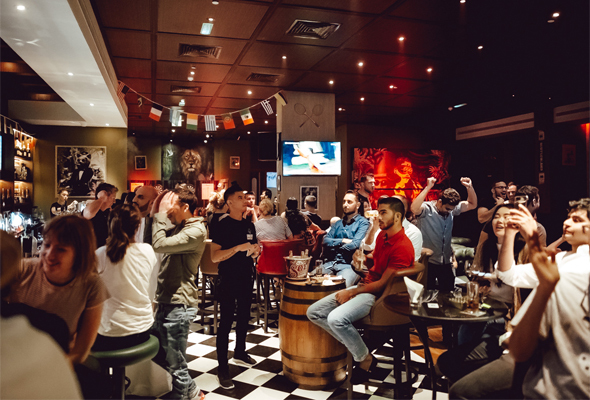 The vintage sports bar offers up extensive sports coverage from 11 screens across the venue, as well as some impressive views across Downtown Dubai. There’s plenty of games inside the venue to keep you entertained too, including darts, pool and even a bowling alley. 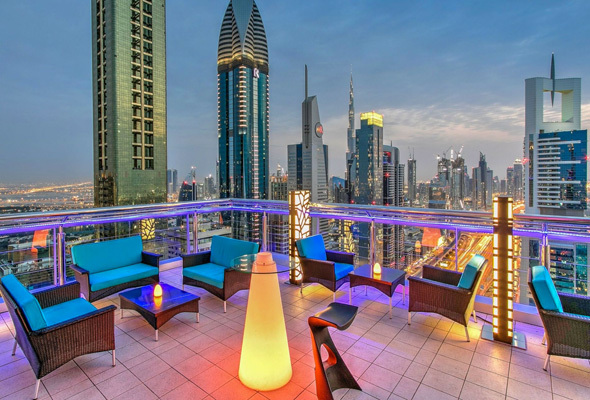 The aptly named Level 43 is found on, you probably guessed it, Level 43 of the Four Points by Sheraton on Sheikh Zayed Road. 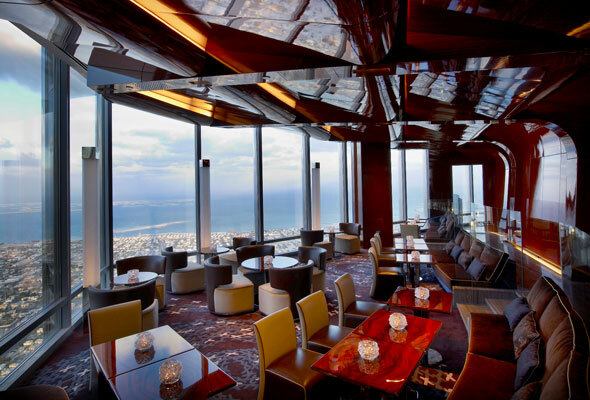 It’s got stunning panoramic views of the city, and an impressive cocktail list to match. Just making it into the round-up is 40 Kong, which is found (as you probably guessed) on the 40th floor. This al fresco bar is one of the trendiest spots in town, so you’re sure to be met with a glamourous crowd if you pay it a visit. 40 Kong serves up a great cocktail menu, or head down on Tuesday or Wednesday where ladies can enjoy a free open bar.